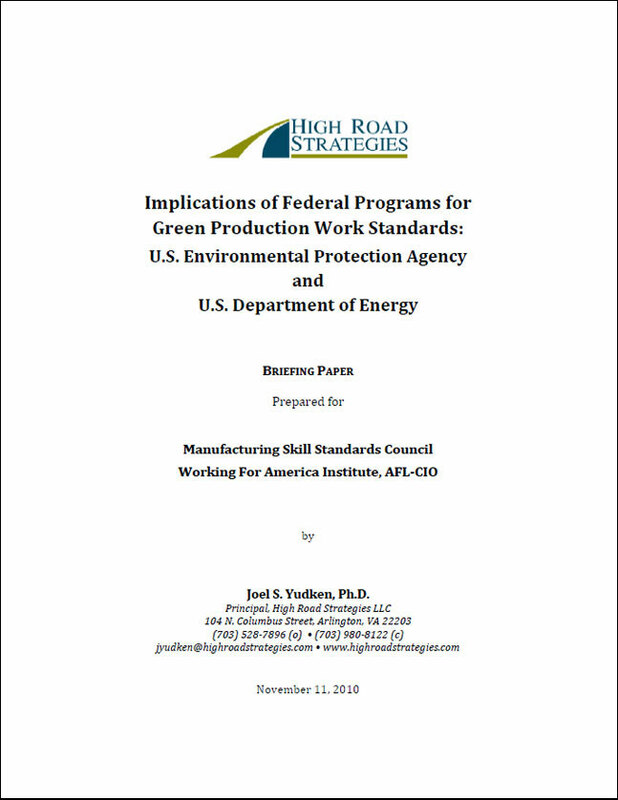 A project currently underway, High Road Strategies is providing consultation, research and technical assistance in the research, design and development (including assessment, validation, and curriculum) of a Green Production Module (GPM) for the national Manufacturing Skill Standards Council (MSSC)-Certified Production Technician (CPT) standards, training, assessment, and certification system. In response to the Department of Labor’s Employment Training Administration’s “Energy Training Partnership Grant” initiative, the International Union of Electronic, Electrical, Salaried, Machine and Furniture Workers – Communications Workers of America (IUE-CWA), the Manufacturing Skills Standard Council (MSSC) and the AFL-CIO Working for America Institute partnered to develop and deliver a Green Manufacturing Skill Training Certification training program to address the need for emerging job skill training for production workers in energy related, energy storage and clean manufacturing environments. Just like the MSSC’s other four CPT modules (Safety; Quality; Production Process; Maintenance), the GPM is based on industry-defined, nationally validated standards and include curriculum, text, e-learning, instructor certification training, assessments, registration, and credentialing. 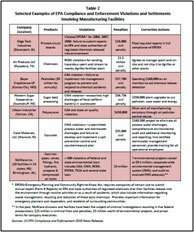 The credential will be an industry-recognized, nationally portable MSSC Certificate. processes involved in manufacturing; regulatory compliance, environmental assurance programs, and training. 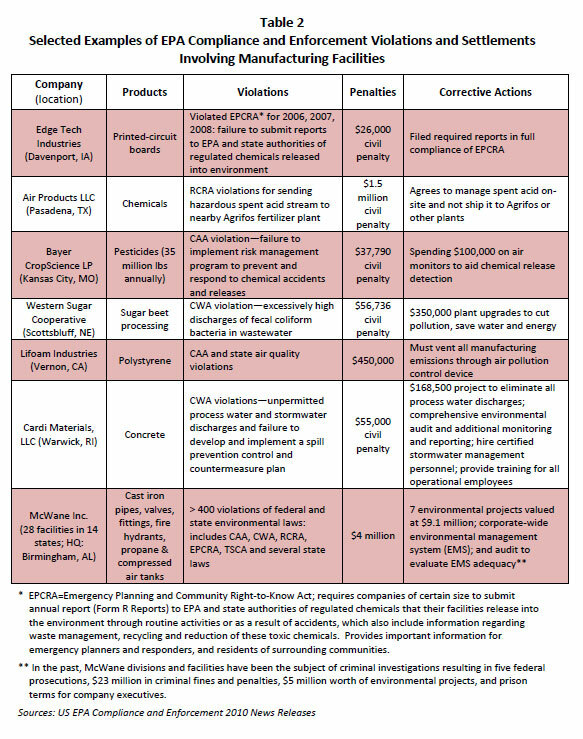 The regulatory compliance and enforcement actions of the EPA are drivers of “green” skill requirements of workforces in regulated industries. 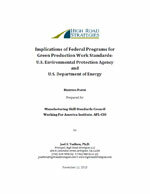 The report subsequently discussed the likely or potential implications of these activities for current and future state skill requirements of production workers related to “green” production. High Road Strategies, working with MSSC staff, also facilitated involvement of Environmental Protection Agency and U.S. Department of Energy experts, who provided invaluable feedback that helped in developing the standards and the curriculum. It also contributed to the development and writing of the training curriculum, including a chapter on implementing and promoting environmental programs, policies, projects, and procedures. High Road Strategies, Dr. Joel Yudken was a featured presenter at the MSSC Board meeting in June, and at the MSSC GPM launch event on October 18, 2011 in Dayton, OH. At the latter, he participated on a panel on the Role of GPM in a National Strategy for Greening America’s Industrial Base, with a presentation on the “Greening of Industrial Jobs,” based on his work with the GPM project. For more information visit the MSSC web page www.msscusa.org/green.